We take pride in our tradition of providing exceptional, detailed service for our clients and their families or caregivers. Our professional representatives always respond promptly and courteously to your concerns. Indeed, registered nurses are on call 24 hours a day, 365 days a year, to provide guidance and direction to our aides, if needed. Our home health aides and other staff members are carefully screened and selected for their skill, knowledge, dedication, compassion, demeanor and professionalism. Often times, the need for home care arises unexpectedly, such as for patients who sustain sudden injuries or are released from hospitals or other care facilities. Other times, a patient requires assistance for only brief periods or distinct tasks. We happily tailor our services to your specialized needs, as our aides are available for last-minute requests, brief shifts, specialized assistance and other individualized requests. We accommodate foreign-speaking patients by pairing them with home health aides who can communicate with them in their most comfortable language. We staff a full team of professionals and home health aides fluent in different languages, including English, Russian, Hebrew, Spanish, Hungarian and Yiddish, among others. At Edison HHC, you can be confident that the patient is receiving the quality of care you expect. We implemented a unique telephone attendance system used by our aides, ensuring that the shift’s schedule is being adhered to properly. We also maintain a full-time supervisor who monitors our aides’ punctuality, performance and professionalism. Just another step we take to keep you assured that your loved one is in good hands.  We staff a full range of trained professionals, allowing us to provide a complete answer to all of your home care needs. Our team is comprised of nurses, home health aides, home-makers, physical therapists, occupational therapists, social workers and nutrition counselors. Call us today to see how we can help you!